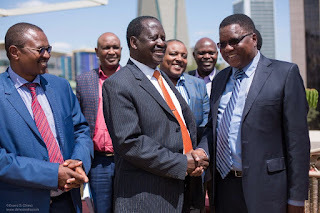 Thursday August 15, 2018 - A group of Mt Kenya leaders met National Super Alliance (NASA) leader, Raila Odinga, on Tuesday and resolved to support his presidential bid should he vie for the Presidency in 2022. Addressing a Press Conference after meeting Raila Odinga at his Capitol Hill offices, the leaders led by former President Uhuru Kenyatta's advisor, Dr Kiremi Mwiria, said the region will back Raila’s bid in 2022. “It's unholy to misuse places of worship,” Mwiria added. 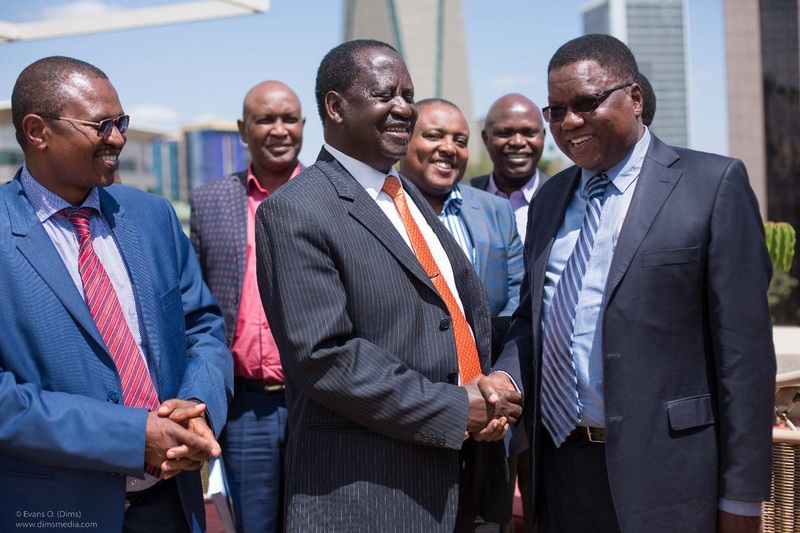 The leaders also accused Deputy President William Ruto and his allies of trying to sabotage the political deal between Uhuru and Raila Odinga. “We also know the Mt Kenya leaders who joined them, thronging different churches to insult Raila,” Mwiria said. He also advised President Uhuru not be intimidated by graft cartels majority being the DP’s allies. “That will be his best legacy,” Mwiria noted.